EPIC'S line of Baked Pork Rinds are developed to highlight the rich flavor of pork skins through simple seasonings and an alternative cooking technique to the industry norm of frying in pork fat. 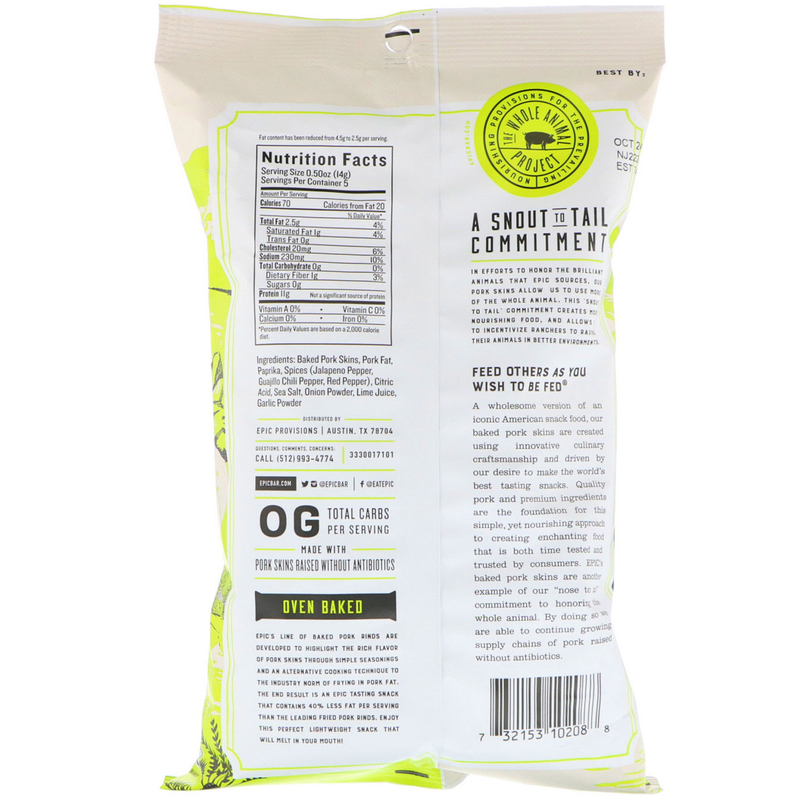 The end result is an epic tasting snack that contains 40% less fat per serving than the leading fried pork rinds. Enjoy this perfect lightweight snack that will melt in your mouth. 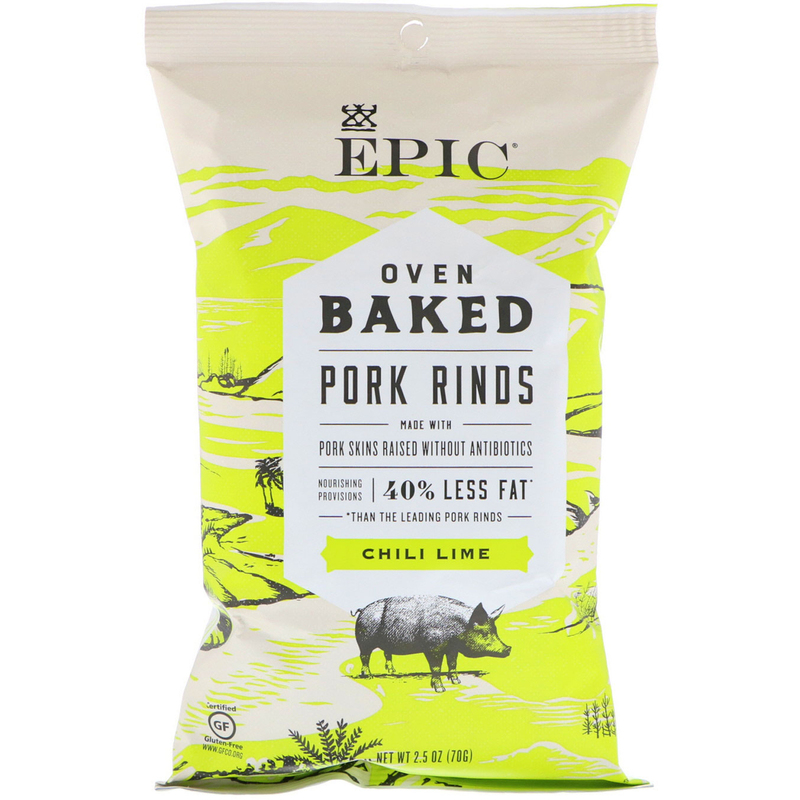 Baked pork skins, pork fat, paprika, spices (jalapeno pepper, guajillo chili pepper, red pepper), citric acid, sea salt, onion powder, lime juice, garlic powder.